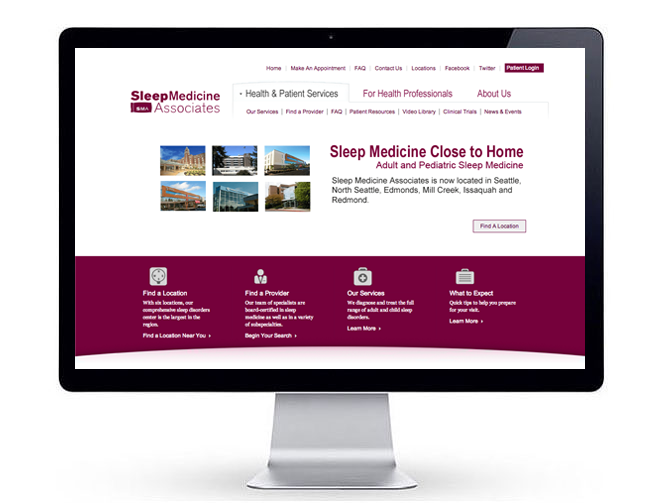 Scope: Pacific Northwest and Dreamland, U.S.A.
Mission: Develop Web traffic and foot traffic for new locations of Sleep Medicine Centers in the greater Puget Sound community. 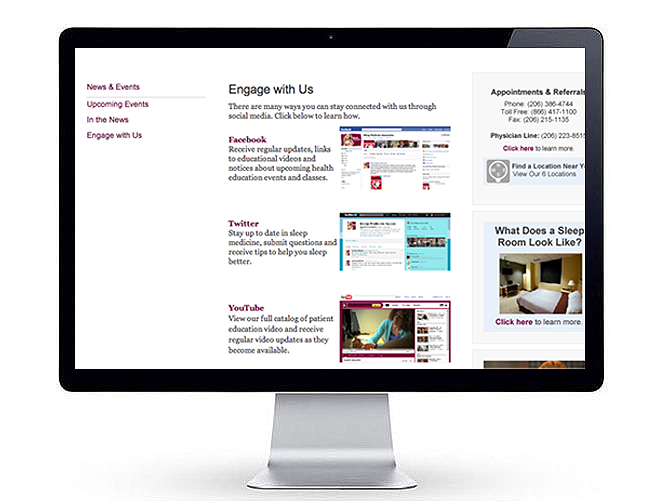 When a medical division of a major health center is "spun off," it must immediately reclaim the online identity of its brand and Local, Map and Review pages to maintain continuity and patient contact. Offline, such a transition might occupy a month or more. Online, the updates need to happen instantaneously. Besides tossing and turning through location changes, GoSleep.com also took the opportunity to let sleep-challenged netizens subscribe to a blog and RSS feed that offered weekly tips to a better night's sleep. With the arrival of Facebook, Twitter and YouTube outposts, the community outreach and patient support news feeds completed the sleep cycle. Perspectives: A tip-of-the-night cap to Swedish Hospital Medical Center and their online cybercast of a Sleep Study in real-time. Meet colleague Dana Lewis of #HCSM renown on our community site, Seattle24x7.com.